Aquafil’s core business is the production of filaments for textile flooring. Their products were showcased at DOMOTEX 2019, and what drew FLOORS in Africa magazine’s attention was their commitment to sustainability. “Aquafil’s yarn is manufactured from fishnets, so not only is it produced from recycled materials, it is also 100% recyclable. 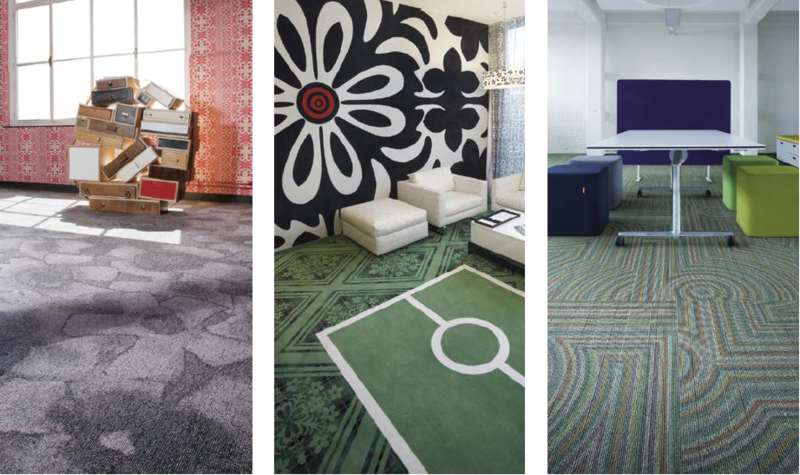 Their cradle-to-grave approach to eco-conscious flooring is inspiring,” says FLOORS in Africa magazine Editor in Chief and Managing Director, Marlene van Rooyen. Their flagship eco product, ECONYL* Regenerated Nylon, turns waste into everything from flooring solutions to exceptional fashion. Besides fishing nets, the company also recovers nylon waste from aquaculture, fabric scraps from mills, and carpets destined for landfill, before returning them into virgin quality nylon yarn. For over three years, Aquafil used life cycle analysis (LCA) to determine the environmental impact of its products. The LCA approach showed the company that most of the environmental impacts generated when manufacturing nylon thread results from the production of raw materials. This study is what led to the ECONYL Regeneration System, which has enabled Aquafil to substitute non-renewable virgin raw materials with secondary raw materials. The company is the second largest global player in the Bulk Continuous Filament (BCF) sector and a leading yarn supplier for carpet manufacturers in contract (hotels, offices and public buildings), automotive (car mats and upholstery) and residential. To meet individual production requirements, the company offers specific technical colour solutions. Almost 20 000 different products are handled, all of which are produced internally as part of stylistic research or technological innovation products. Established in 2017, the company launched Aquafil Carpet Recycling #1, which is the first of many planned carpet recycling plants for the Aquafil Group in America. The plant uses state-of-the-art equipment to fully recycle 16 000 tons of used carpet a year that would otherwise end up in landfills. For more information, contact Aquafil via www.aquafil.com.